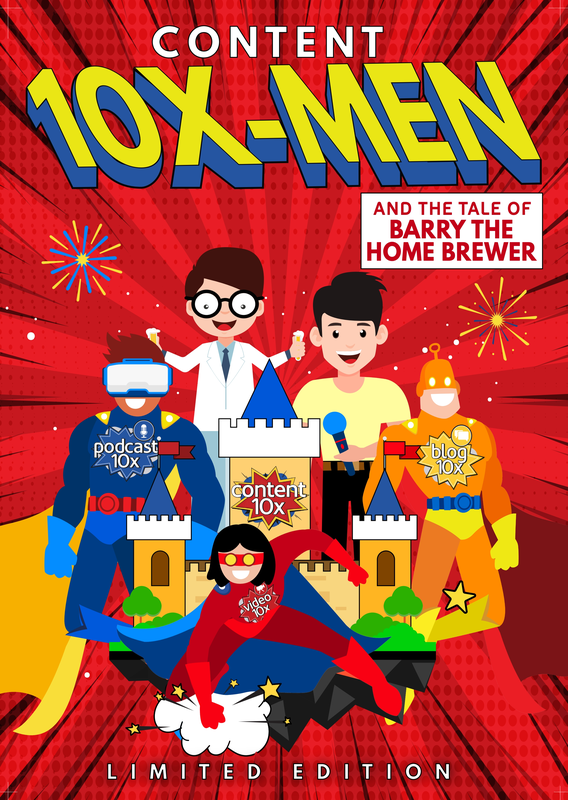 You’ve probably noticed from our logo, branding, and social media presence that at Content 10x we’ve got a bit of a thing for superheroes (well…we are content superheroes after-all!) and comic books. 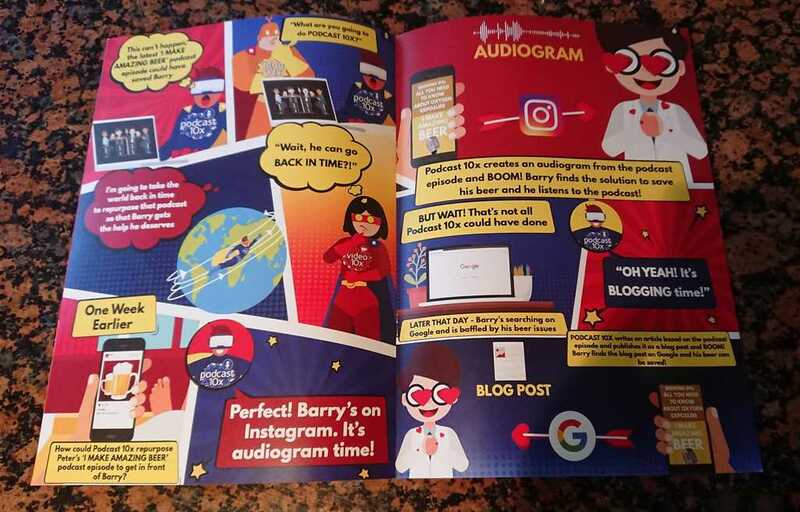 So much so that we recently wrote, designed and published our own comic book which tells an exciting tale of content repurposing, and it was created by repurposing slides that I used for a talk at Podcast Movement 2018. A tale of repurposing created by repurposing, how meta! When you put lots of time and effort into creating a single piece of content, it’s worth thinking about how you can make the most out of it. Maybe you could find a unique way to repurpose it into a different format – but just how unique are we talking? 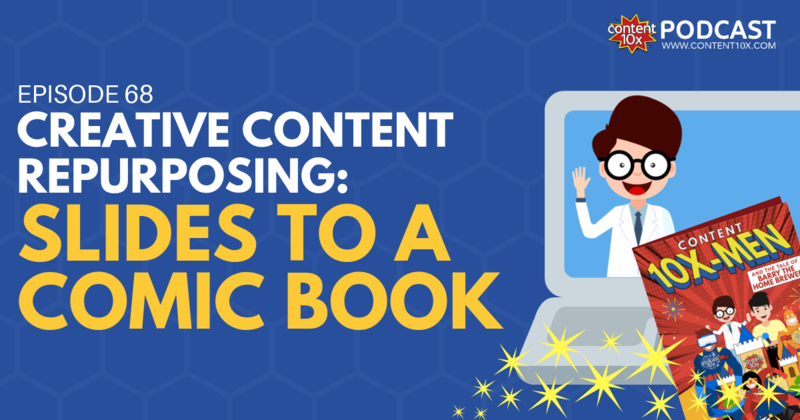 Read on as I share a story about how my team and I created a comic book by repurposing slides. I’m not suggesting for one second that slide to comic book repurposing is a ‘thing’ or it’s something that you should consider doing! It was something that we did that served a very specific purpose, it was completely appropriate and ‘on-brand’ for us as a business, and we could attribute business benefits to this repurposing. I reveal some of my best tips and advice on how you can be really creative and think outside of the box when repurposing your content, and how to assess whether it’s something you should be doing. 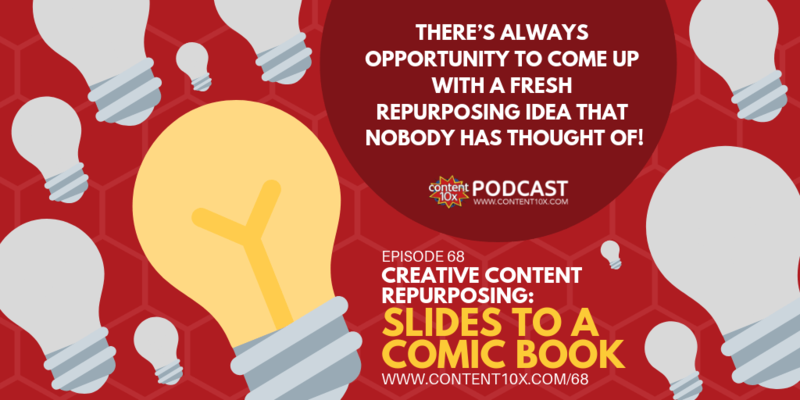 When I went to Podcast Movement last year in Philadelphia (the world’s largest annual podcast industry event), I spoke about content repurposing. It was called an ‘Ignite talk,’ whereby you present a short and snappy slide presentation to an audience of passionate podcasters. But, here’s the catch. Your slides automatically change every 15 seconds. You’ve no control over the pace. So, you better have well planned slides and excellent timing! I knew my slides had to be bold and intriguing enough to hold the audience’s attention. And, more importantly, they needed to tell a story. 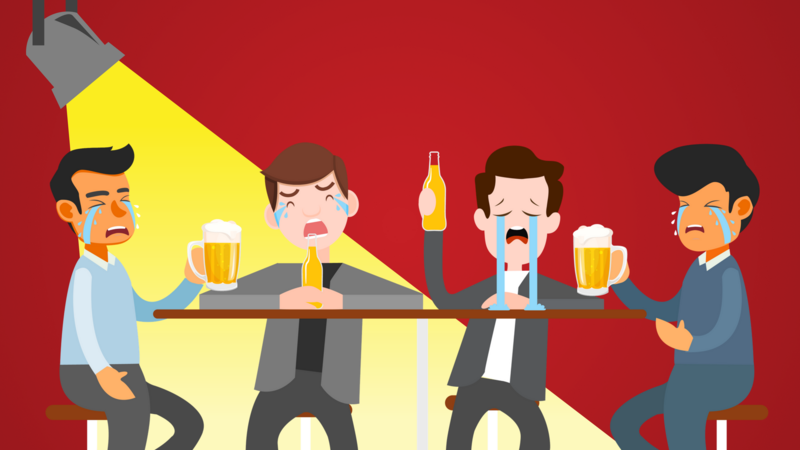 A story that everyone in the crowd could both imagine and relate to. So, me and my team got to work. At times like this I am so thankful that I run a creative agency and I have such a good team able to help me create great slides. 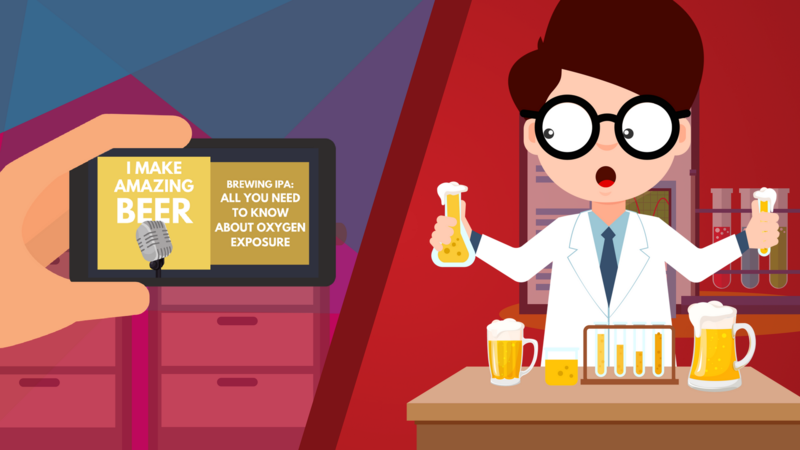 We came up with a story about a hobbyist homebrewer called Barry. In a nutshell, Barry is having trouble making the perfect brew. He needs help. Thankfully, there is a podcast that he’d love called the ‘I Make Amazing Beer Podcast’. It contains everything that Barry needs to learn how to make the perfect beer. The only problem is that Barry doesn’t listen to podcasts. 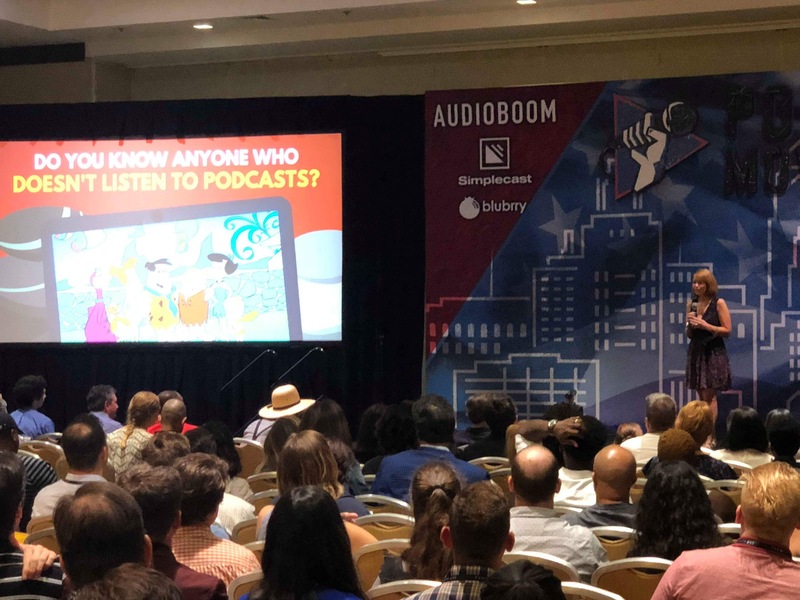 The story shared different ways that podcasters can repurpose their episodes to help ensure that their message can reach as many people as possible, including those who don’t listen to podcasts — people like Barry. My team created a fantastic set of slides. In fact, the organizer of the Ignite event was so impressed with their design that he said they were the best slides he’d ever seen! So naturally, we had to repurpose them. The slides were filled with wonderful characters, vibrant scenes and they told a story that people really connected with. As I mentioned, our whole brand is very much superhero and comic book style – it’s about us saving the day with our repurposing services. So, it probably doesn’t come as a surprise that we decided to repurpose the slides into a comic book. It was totally on-brand for us, and the slides already took us halfway there. But if we were going to make our own comic book, it had to have a purpose. I had lots of ideas for it’s multiple uses. Firstly, I was scheduled to speak at Janet Murray’s Content Live event and although my talk at Content Live was very much tailored to the audience, I was able to repurpose some of the Barry the Homebrewer Podcast Movement slides into my talk. I shared the Barry story at the start of my talk and gave everyone a copy of the comic book as a handout. It was such a unique handout that people were really impressed. It was original. Bright. Fun. And, it told a great repurposing story and provided plenty of tips and advice. People loved it, and I got good feedback. Our repurposing slides story doesn’t end there. I’m heading out to Orlando in March to speak at Podfest, another podcast industry event. I’ll also have a booth in their exhibition hall, where I plan on introducing even more people to Barry the homebrewer and our comic book! My upcoming talk at Podfest, although original, will feature my Barry character. I’m going to give the comic book out not only to people who come to my talk, but to people who visit my stand as well. It’s like the world’s most creative ‘leaflet’ (as declared by me!) and will help us to stand out. In addition, I’m attending Podcast Movement again in August 2019, this time I’ll have a booth in the Expo and I plan to hand out copies of the comic book at that event too. Firstly, to show that repurposing isn’t always about taking a podcast and creating quote images or audiograms. It’s not always about taking a video and turning it into a blog post and some teaser videos either. Yes, they’re all great things to do. But, there is always an opportunity to think outside of the box and come up with a fresh repurposing idea that not many people have ever thought of! After all, who has ever even heard of slide to comic book repurposing?! When you do think outside of the box, remember to stay clear on the business benefit though. 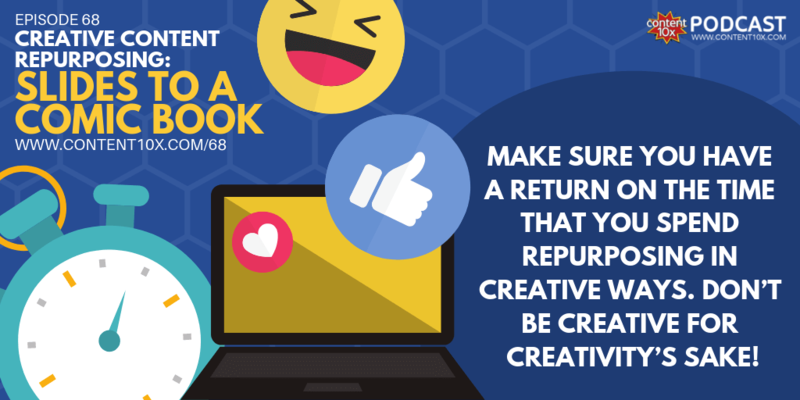 You need to make sure that there is a return on the time that you spend repurposing in creative ways. Don’t just be creative for creativity’s sake! If you have examples or where you’ve been super creative with your repurposing I’d LOVE to hear about it. Comment below. If you ever need help with your content repurposing, you know who to call…me and my team here at Content 10x. We offer a fully done for you content repurposing service and would love to help you.